The first thing about this watch that catches the eye is the distorted shape. But the next thing you will notice is the flourishing way this shape is framed. Two rows of diamonds make two sweeps as if with a calligraphy pen. A decadent dial is inlaid with a stadium of icy diamonds. And a simple signature “Cartier” logo rests inside, with no markers or numbers for a clean look and to let the stones take center stage. The blue sword-shaped hands are featured in almost every Cartier watch, and never fail to look simple and elegant. The fabric strap complements the luxe dial in a very feminine way. I especially like the careful gradation of diamonds, from tiny to large as they form the sweep. The entire watch is a fun, fashionable take on the traditional round dial watch. 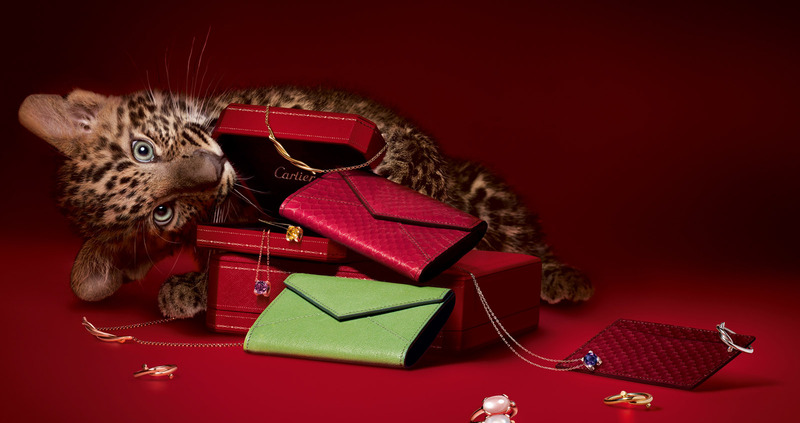 Cartier prides itself on making quality luxury watches. 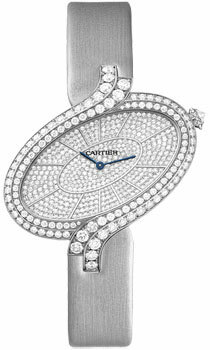 The Delices de Cartier Watch Extra Large Model WB8000022 is big, beautiful, and made to be an heirloom watch. The water resistant quality means you won’t have to worry if a little water gets on it. But what about the negative aspects to owning a watch like this? Distorted shape with no markers makes telling time less accurate. I think the distorted shape is definitely the biggest drawback to this model. It’s an added challenge with the blank dial. Anyone who chooses this watch would probably be buying it mostly for fashion, and to tell time as a secondary function. The price is quite high, and ensures that only the well-heeled woman will be able to afford it. One thing is for sure: the special lady who gets to wear this stunner will attract plenty of admiring glances.